Fashion Fave: Menswear. Folks, this is like my new thing. Lately I've been dreaming of oxfords, trousers, blazers, and all things menswear inspired. Maybe it has something to do with my recent acquisition of overalls. I don't know, but I'm loving this trend. 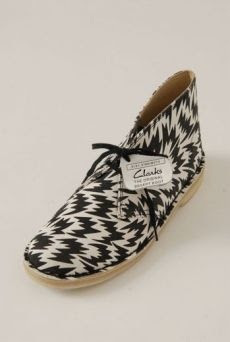 If you've read my blog for a while, you know that I LOVE my Clarks. Especially the Dessert Boots. I have the flat ones and the heeled ones and I think they are my can't-live-without shoe. So naturally I flipped when I saw these black and white ones! 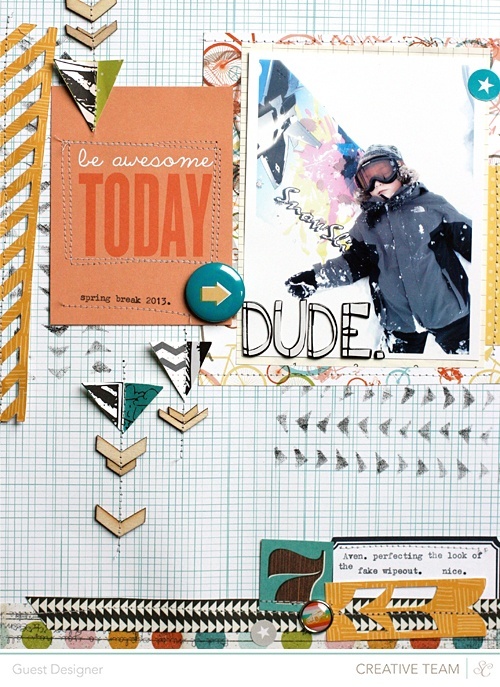 Craft Fave: I'm in love with this scrap book page. Aren't the colors and patterns cool?! Inspiration Fave: When I first saw this picture, I squealed with delight. I just want to find a cute boy that will sit next to me and read. This would be adorable for an engagement shoot or something along those lines. 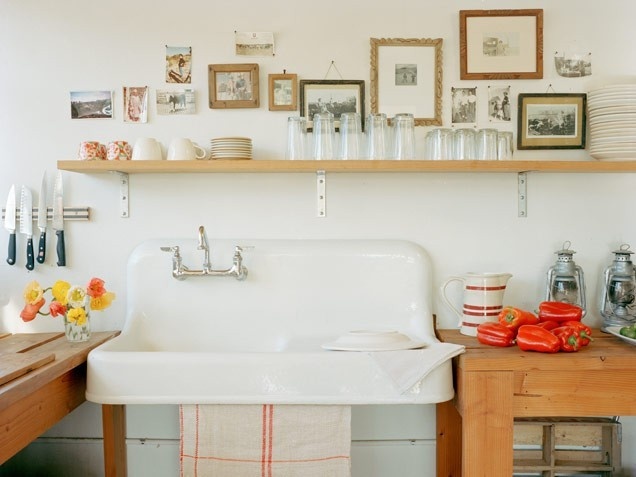 Home Fave: Open shelves in kitchens. I think it's the best way to show off your pretty dishes and make a room seem bigger than it actually is. In my someday home, I'm totally going to do this to my kitchen. Music Fave: Tame Impala. Guys, you just don't even know. I used to be really into this band when I was in high school, but recently I've gotten back into them. Give this song a listen, it won't disappoint! All pictures were found via Pinterest! Follow me! I pin pretty things! What are some of your favorites things lately?